Wasp nests removed for £40, no vat or hidden charges! Aswell as being experts in the removal of wasp nests, we also have many years experience in pest control. If you have problems with any of the following pests, give us a buzzz!! 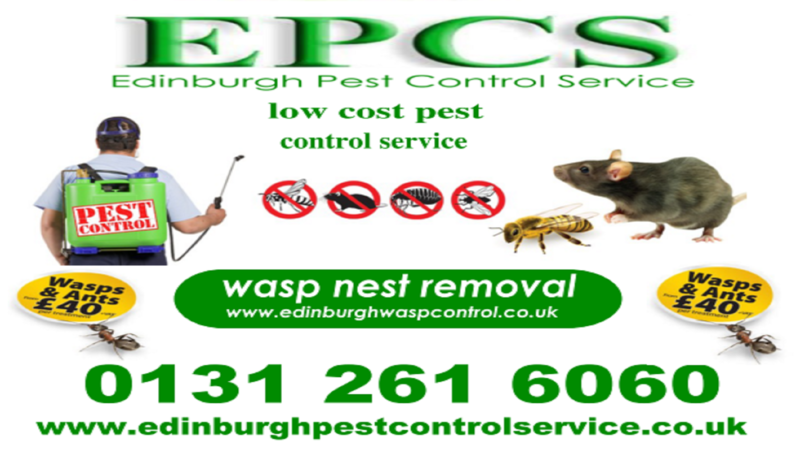 Pest Control Edinburgh is also part of Edinburgh wasp control. For professional, quality pest control at home or the work place, make edinburgh pest control your first call.